An 18 gauge Argentium Silver nose ring... with a stud. 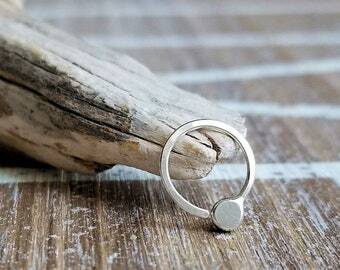 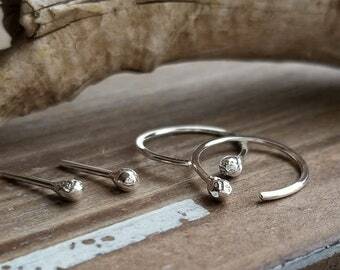 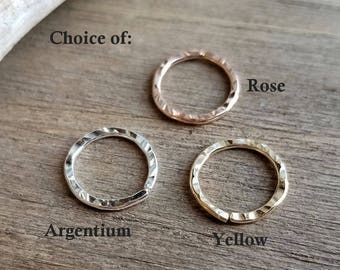 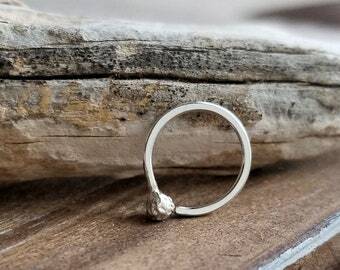 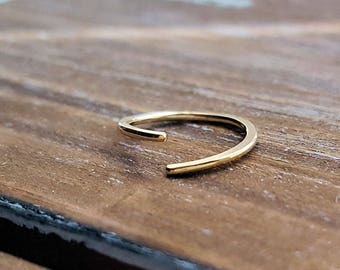 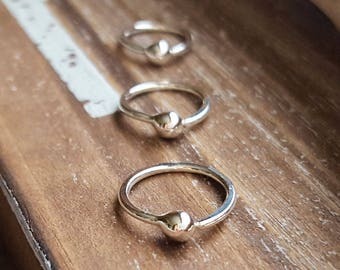 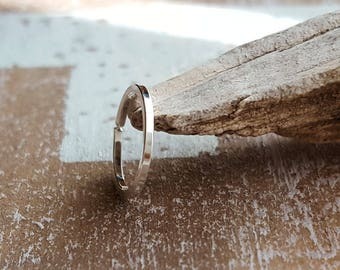 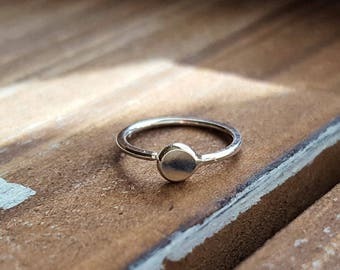 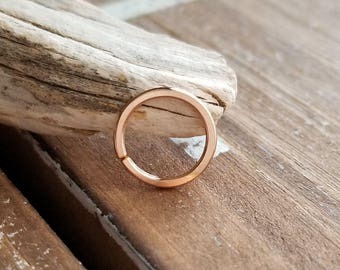 This can also be worn as a cartilage hoop or an earring of choice. 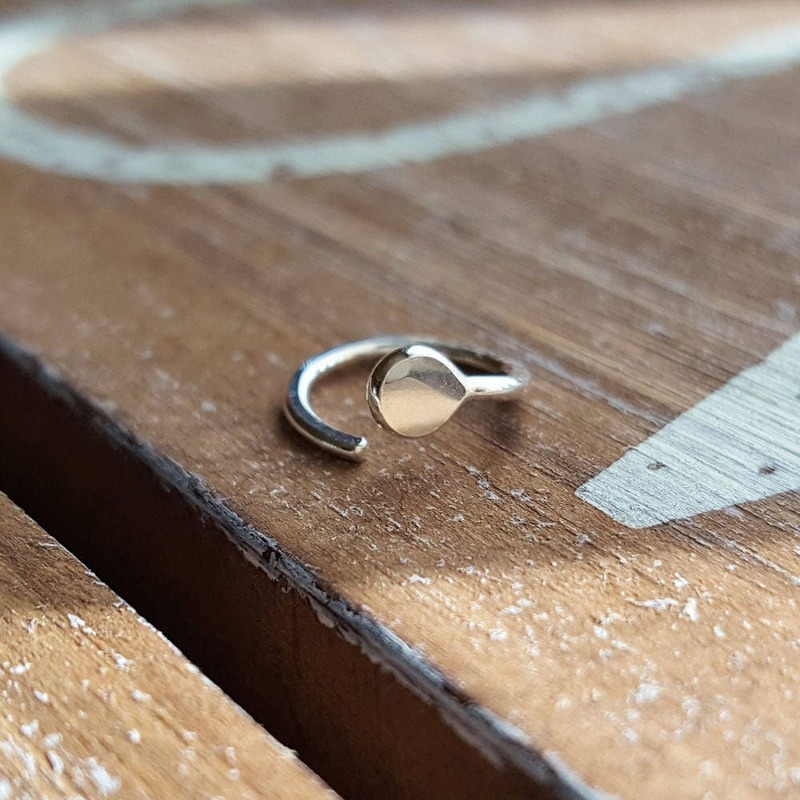 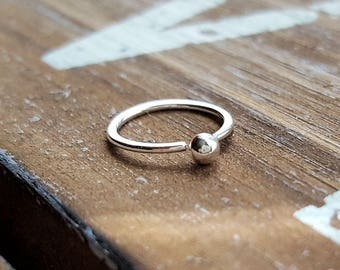 I create this nose ring with 18g Argentium Silver, ball one end and hammer it into a somewhat stud shape. 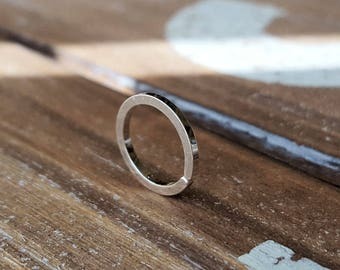 After filing the end, it then tumbles for hours to a polished finish. 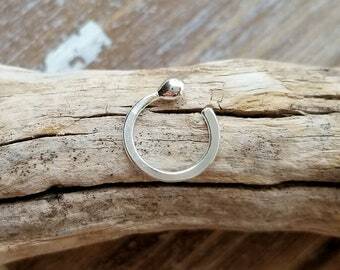 To wear, twist slightly side to side, insert the hoop then twist back to close.